The Honorable Dr. John Hillen, formerly executive-in-residence and professor of practice at George Mason University’s School of Business, has been named CEO of Ashburn, Va.-based government technology services contractor EverWatch. “Looking at the technology solutions sector as both a corporate leader and a former government official, it is clear to me that our government needs fully capable mid-sized companies helping them with their most critical missions,” Hillen said in a statement published Tuesday. 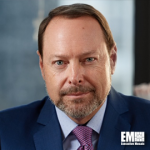 He added that the capabilities and experience of EverWatch’s employees would help the company deliver platforms and services to clients in the defense and intelligence space. Hillen, a 2015 Wash100 winner, previously served as president and CEO of Sotera Defense Solutions and chairman of the Professional Services Council. Hillen currently serves as a member of the boards of several defense, energy and intelligence firms. He joined the board of advisers at Govini in 2017 and three years prior to that, he was appointed operating partner at LLR Partners. Prior to Sotera, he served as assistant secretary for political military affairs at the State Department from 2005 to 2007. EverWatch has about 400 employees across five continents and provides intelligence, defense and deployed mission support to government clients.